We have selected the finest varieties for commercial cut-flower growers, which include the following eight colors: deep red, pink, white, yellow, lavender, green, orange and purple. 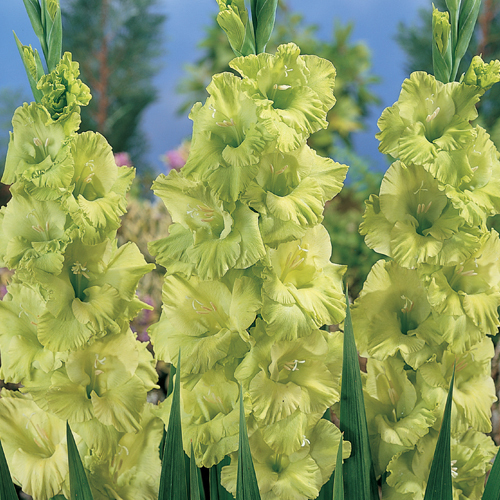 Beautiful and long-lasting color for floral arrangements, Gladiolus are also ideal for the back of a sunny border where they will rise and shine above lower-growing perennials and annuals. Long strap-like leaves, medium green in color. Lift in fall if you live in Zones 3-7 for winter storage. Replant the following spring after frosts are over.